The Daikomyō Said is always a magic moment in the life of the Bujinkan. This year was no exception. The format has evolved over the years. Training halls have changed many times until there were no halls and no training sessions. The formal dinners at the Hilton or the Noda Park hotel, replaced the open party at the Honbu until there was no more dinner. Today, there are regular classes followed on Sunday by a small lunch party. And this is fine because the feeling is still the same. 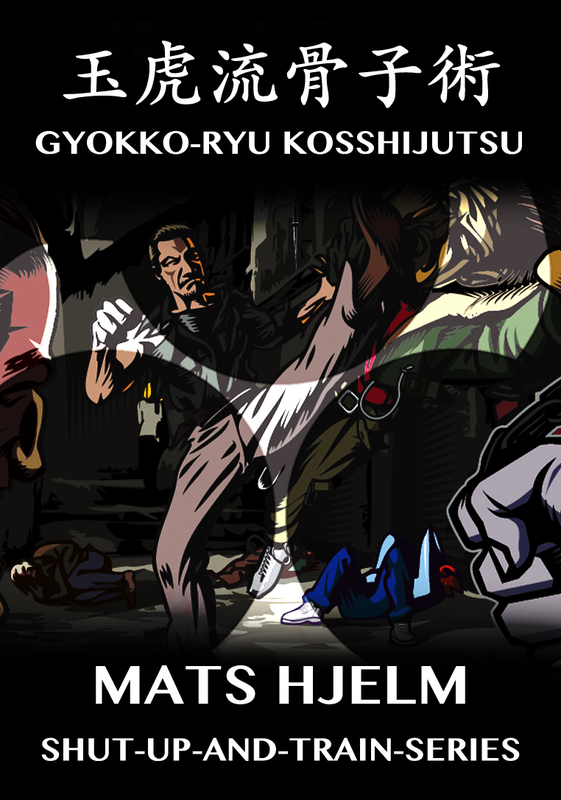 Daikomyō Sai is not only about Budō, but it is also more about respect Kumite. Apart from the techniques taught during this period of the year, this is the chance to spend some quality time with friends from all over the world, around our Sōke, for his birthday. Every year the group gathering in Atago is about the same. Sensei has created a formidable group of friendship where borders don’t exist anymore. This is really a very special moment for all of us. This year again, many made the trip for Sōke’s birthday. Moti from Israel; Sheila, Jack, Jay, Michael, Phil, Par, Ed, Doug from the USA; Juan-Manuel, José and Rosa from Spain; Peter from the UK; Laszlo from Hungary; Oliver, Stefen and Jacqueline, Michael, Alexander, Raphaëla, Simon from Germany; Christian from Argentina; Lubos from the Tchech Republic; Lauri from Finland; David from Colombia; Harry and Adonis from Greece; Faraji from Iran; Jorge from Chile; Ole from Denmark; and many others. Sorry for the many names I forgot, and for the students that made the trip to the Honbu this year. But thank you all for being there. 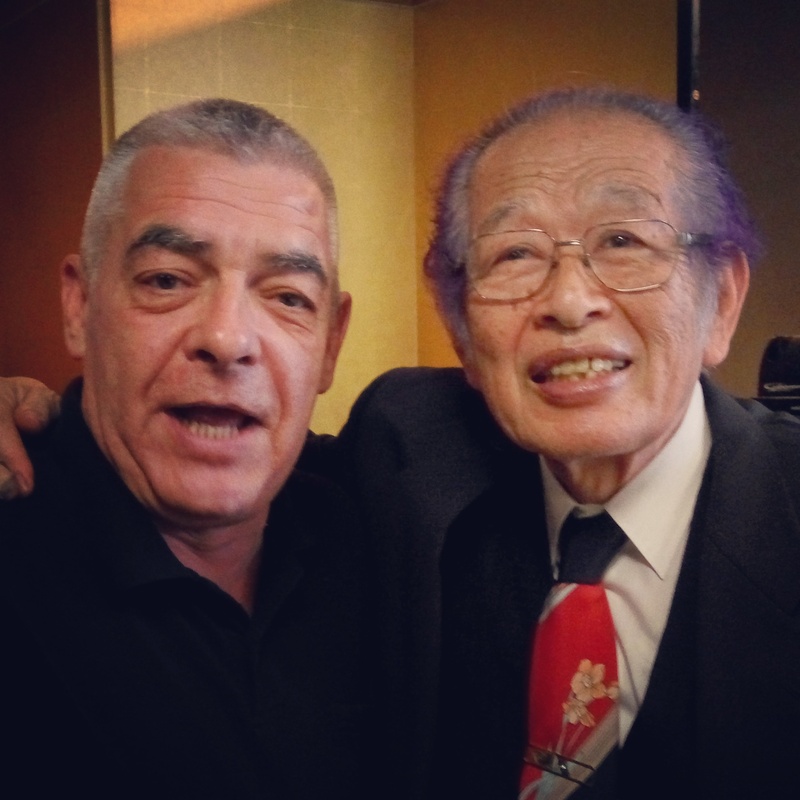 During his birthday speech, Sensei said the Bujinkan has spread a lot in the last 42 years of its development. 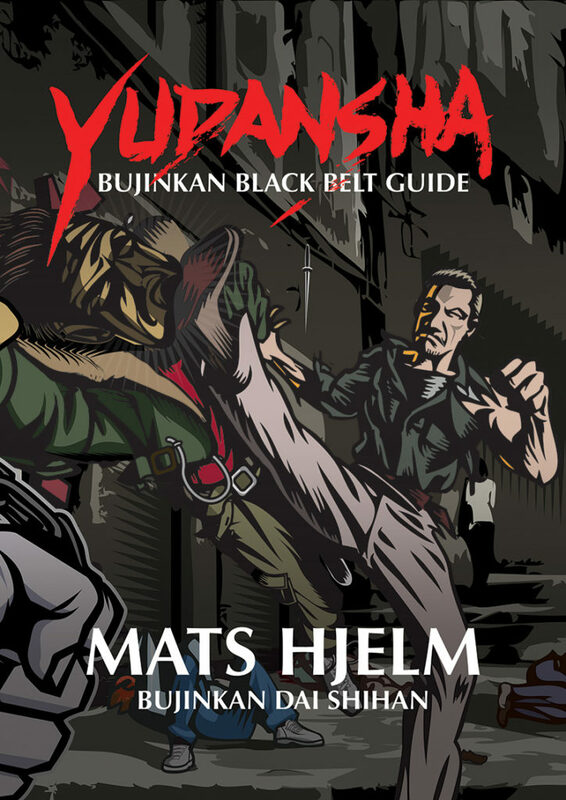 Today the Bujinkan regroups more than 500000 practitioners worldwide. Sensei went back on the “42” cycle. When Takamatsu Sensei told him “I taught you everything” back in the seventies, Sensei said that he had no clue at all. But after “teaching for 42 years what he didn’t understand, I now know what he meant at that time”. Being now 85 years old, he has covered two “42-year cycles”. The third period of this Sanshin cycle is beginning, and that it is our responsibility to take over, and to bring it to the next level. Later, he added that “we now have over 450 Jûgodan and 4200 Shidōshi (another 42) in the Bujinkan, I’m confident that within this vast group, many good men and women will continue to walk the path initiated with Takamatsu Sensei”. “Ichigo Ichie” (2) he added, “it’s not an issue of time, but moments in time, a continuation of moments. I have a happy life. Enjoy your life, enjoy those moments, and don’t think so much”, were his words of conclusion. Thank you Sōke for the gift! 1. Sensei likes to play with numbers. He was 42 when Takamatsu Sensei passed away. He taught us for 42 years since. Now that he is 85, the third “42-year cycle” begins. For the twisted like myself I would add that 42 = 6. 3 x 6 = 18. 18 = 9. Everything is in order. Only a few days left to get your 25% discount. Go HERE to know how to get it! When put in jail in Japan after the war, the famous German Zen philosopher, Karl Durkheim, had time to meditate. This sentence is what came to my mind today when attending Senō sensei’s class. 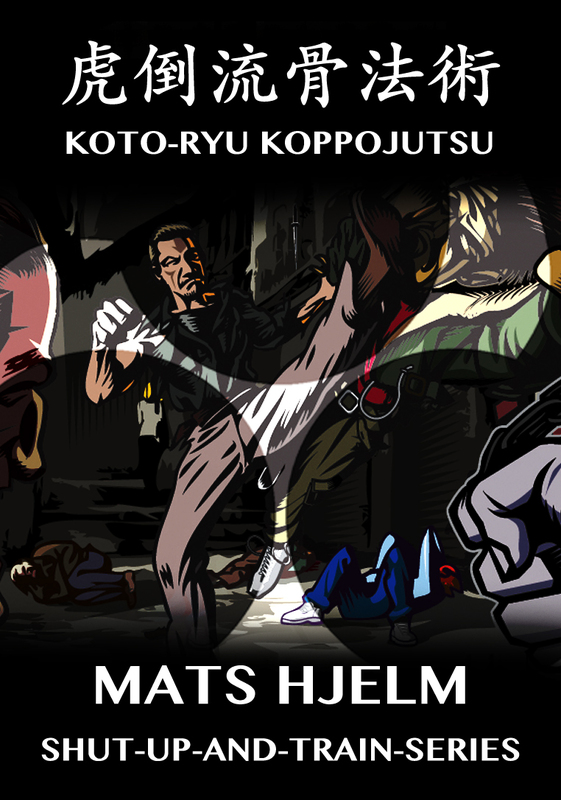 The quality of his movements is so subtle that it is impossible to get them from the Omote. With Liz, a Canadian and Japanese resident, we had to feel the techniques at least ten times to begin to understand the Ura. When you are his uke, there’s no strength at all. It is like fighting a cloud. You are trapped softly, as is he was not there. At some point, he quoted Hatsumi sensei repeating that you have to “throw yourself away”. To disappear. Becoming zero is the only way. We did many similar techniques today. I’ll try to share one of them here. You receive uke’s attack softly with the arm, the thumb protruding at the triceps level. Then you twist slightly your forearm which in turn locks uke’s wrist. The ability to keep a relaxed body is important, and this twisting of the limb, so typical is Senō sensei’s movements is a major part of it. When the is no tension in your body, each part of your anatomy can move freely and independently. There is no intention at all. This is zero. The movement is so soft that the attacker has no knowledge about it. After receiving the attack (ukeire) (1), entering with your leg in a sort of Ô Soto Gake, you threaten his face with the top of your elbow and wrap/rotate uke’s shoulder with your open hand flat on the shoulder blade. Uke doesn’t know he is trapped before it is too late. His spine is composed, and he flies away with no force at all. Naturally. Senō sensei’s explained that the “gake” was different from the usual one (2). Here, the idea is to suspend the opponent between two points, so that he is never aware of what is happening to him (3). Another important aspect is the rhythm of your movements. Senō sensei’s spoke of Jiki, the time between the steps. Like when you are playing music, rhythm is vital. A technique is not flat. There is a tempo. Going too fast or not respecting those breathing moments will prevent your actions to be efficient. That was another great class. When you have the chance to train at this level, you understand how foolish it is to train fast, using speed and strength. Softness is much more efficient. It is the only way to reach the quality of Budō you’re striving to achieve. “the depth of a quality is related to the quality of the depth”. Another interesting comment on Asobi by Magnus Andersson. For what it’s worth here are my thoughts on asobi. Feel free to use it or dismiss it. The concept of asobi which Hatsumi sensei use from time to time can easily be dismissed as children’s play or play with the technique in a light-hearted manner. However, it can be more serious than that. To use asobi in the context of a battlefield martial arts should be interpreted in a different way, I believe. It is not child’s play but rather the activity between reality and unreality, between the real and the unreal. It’s in a way Kyo Jitsu. When taking a look at the kanji for asobi 遊, we find that the original meaning is also “to wander” or “to go a distance”. Another meaning is “to freely wield (a sword)”, and it is also the very verb (to “play”) that the Chinese use in the idiom “yóurènyǒuyú” which means “to do something skillfully or with ease” or “to move skillfully or easily”. So could it be that Hatsumi sensei is knowingly or unknowingly asking us to go through the training with skill and to explore the real and unreal in our movement to be able to move more freely and without any preconceived notions? We most certainly need to aim for zero and become one to make it happen. Gyokko Ryû is an excellent school, profoundly related to the new theme for 2017 of “controlling the space”. We read on the Internet that Gyokko is the “jewel tiger”. This is incorrect, Gyokko is the “tiger Pearl” or the “Tiger sphere”. When we say “zero” we see a circle. But what if “Zero” is not a flat circle, Maru (2), but in fact symbolises the sphere of the controlled space that Sensei is speaking about? My feeling is that this is what Sensei wants is to understand. We are at the centre of this sphere, this is why “zero” he keeps saying that “zero” is not empty. But as it is often the case in Japanese, there’s more. Was it a sign from the gods? 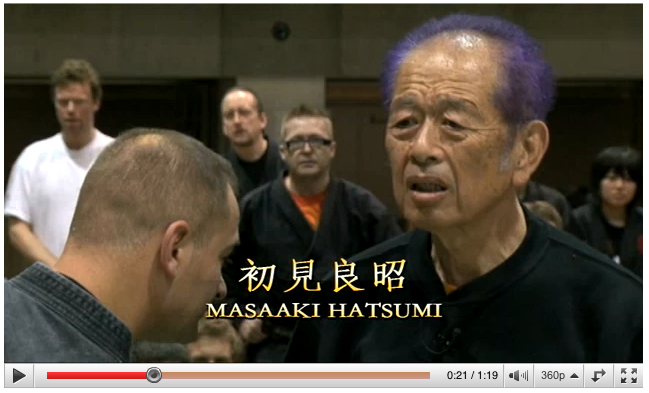 The last class with Hatsumi Sensei was so intense that I dreamt of it all night long. In my dreams, what he showed and taught made more sense, I will do my best to explain now what I got out of it. To control the space with mutō dori, you have to be zero. To be zero, you have to be one. To be one, you have to be complete. To be complete, you have to be sanshin (3). To be sanshin, you have to know your basics. To know your basics, you have to enter the dōjō. When we begin our training, we are formless. We have expectations and no knowledge. The teacher shows the basics, and with practice, we are starting to move in the appropriate form. Then we have to acquire the basics of the Tenchijin. When we begin to understand the simple complexity of the Tenchijin we are three. This is the sanshin of the Ten, the Chi, and the Jin. There is no unity yet in our movements, and our taijutsu looks like robotic movements. With time, the differentiation of the three parts of the Tenchijin vanishes, and we start having a more unified way of moving. When this process is complete, we can enter the world if the Ryûha and to study the weapons. After some time, we mix the Waza, the Buki, the basics, and a nice body flow emerges. We are complete. But the hard work doesn’t stop here, as it is only the beginning. Give it a little more time, and you become “one”. Only when this state of “being one” is achieved, that you can start the long path of becoming “zero”. It is a long process because you have to get rid of everything you have learned to be “zero”. Sensei said that “there are no techniques”. What I understood is that at this level, techniques are useless, you have to forget them. And you can do that only because you spent at least twenty years learning them (1). Again, you can only forget something you have learned. Gradually, you can become zero and ride on uke’s intentions. Because you have no expectations, because you do not try to win, you are in control of the space. Uke’s attacks originate from the same point in space that you can now clearly see. Controlling this point defeats uke. 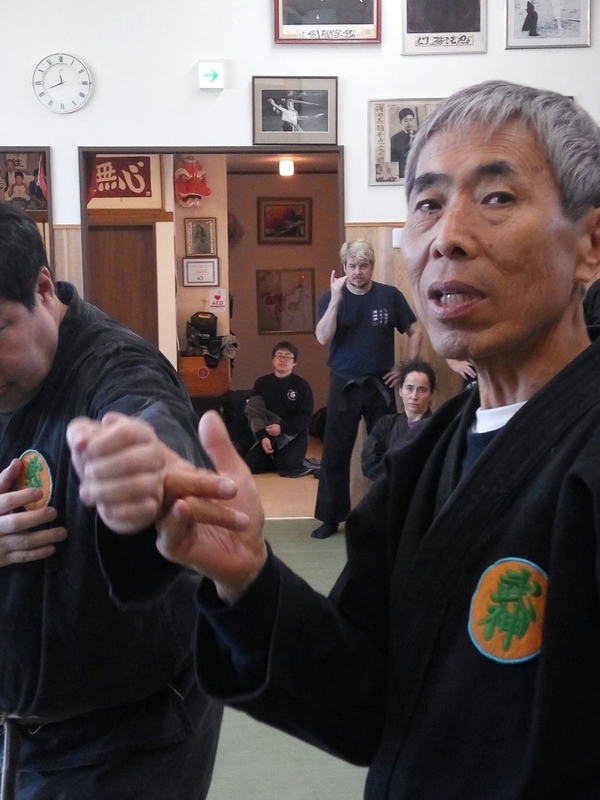 Sensei said that whether attacks using taijutsu or weapons, there is a common point, and it is always the same. As you fill the space of battle, you can see this point. Control it, and things are easy. Sensei insisted twice on the importance of Kokyû, respiration. (2) He said that if you are out of breath at the end of the exchange, it is because you are still trying to do something. But you don’t have it. When you are finally capable to ride uke’s attacks, to dodge them, and still be relaxed, it is the proof that you are zero. Be Zero and control the space. “Zero is not empty. There’s a point in the middle”, Hatsumi sensei, July 2016. 1. I write “twenty years” here, but it might be thirty. In just beginning to grab it after more than thirty years in the Bujinkan. But I guess some are more gifted than me. 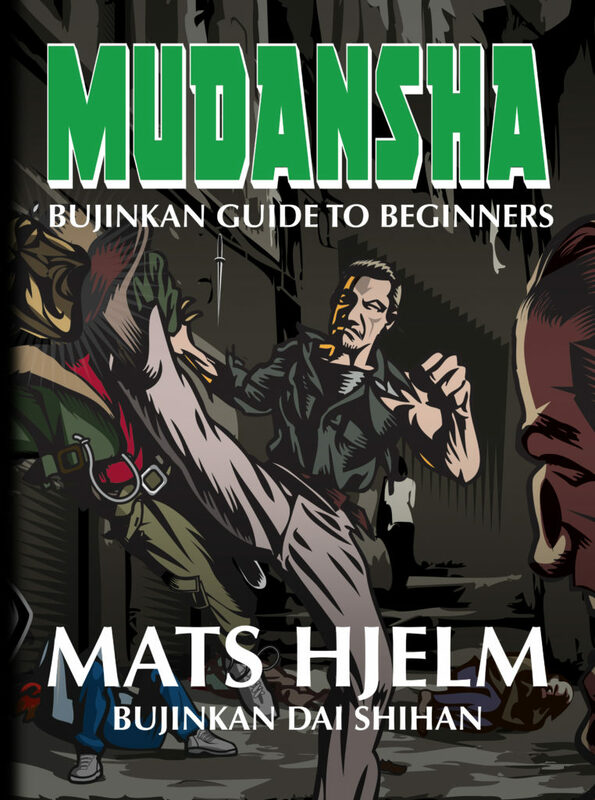 On the other hand, if you have been training less than twenty years, and have achieved a high rank in the Bujinkan, I am confident that this will require some more years of training. Rank doesn’t mean competence.